Ice Fishing Near Park City? Hello, I was wondering if there is anywhere near Park City my Partner and I could go ice fishing? It would have to be a tour or with a guide as we're from Australia and have never done it. Comments for Ice Fishing Near Park City? I don't know what you're looking for but I would recommend Strawberry Reservoir. If you go to my Strawberry Reservoir page ... https://www.utahtravelsecrets.com/strawberryreservoir.html ... you can read more about that great body of water. 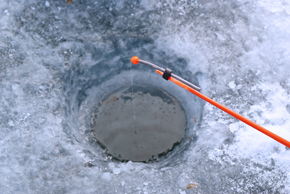 There are other places to ice fish near Park City: Deer Creek Reservoir, Rockport and Echo Reservoirs. If you need a guide, Google "Utah ice fishing guides" and start contacting them.